For larger projects, this size is traditionally favoured by trades who need accuracy over a longer run, such as brick laying, fitting kitchen units or marking out long runs. 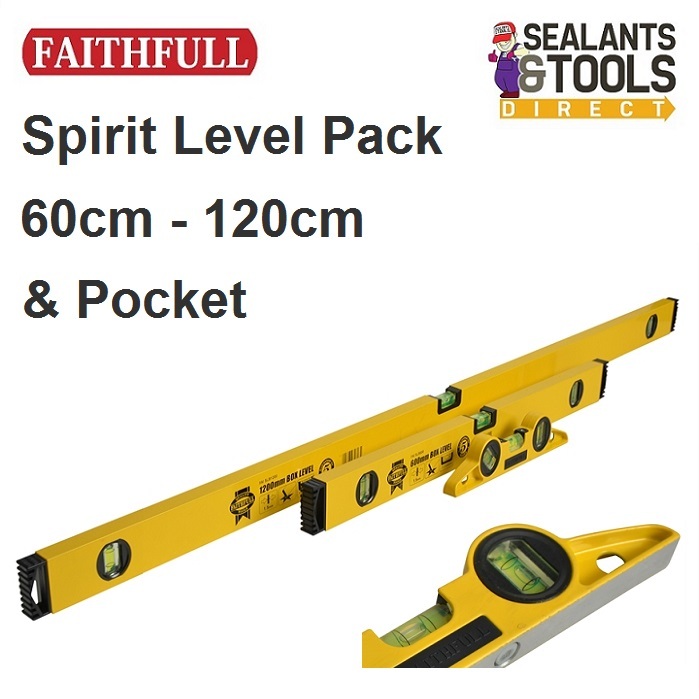 Ideal for a number of smaller projects, such as door hanging, levelling shelves, pictures etc. Traditional design and incorporates a standard horizontal vial, a plumb vial for vertical work, and a 45° vial bubble, often used for roofing, tiling and stair work. This pocket torpedo also has a magnetic base which enables it to be used on metal surfaces for applications such as scaffolding or metal engineering work. Box levels 60cm and 120cm made from a 1.5mm thick aluminium box section with Impact resistant end caps. All levels have 3 Vials which are accurate to ±1mm per metre. Powder coated surfaces for added protection and enables the levels to be cleaned easily. All 3 levels are covered by a 5 year guarantee against vial leakage.